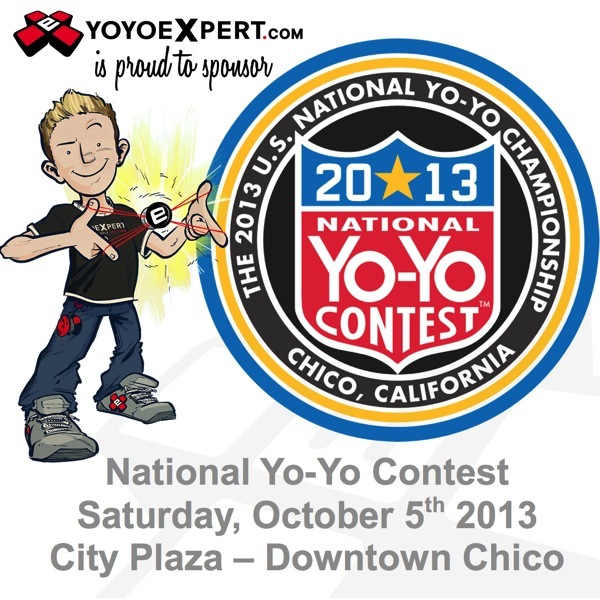 The FIRST WEEKEND of October is time for the National Yo-Yo Contest﻿ in CHICO, California! Players from around the country travel to compete for the title of National Champ! We CAN’T WAIT! YoYoExpert﻿ is year after year a proud sponsor and contributor to this great event and will be there with a booth to represent and meet up with all of you! Looking for anything specific? Place an order online and choose ‘Pick Up In Chico’ and we can bring it to you there (ends Thursday at 4pm EST)! Keep an eye on us over the next two days too – we will have lot’s of great things at our booth being announced online!